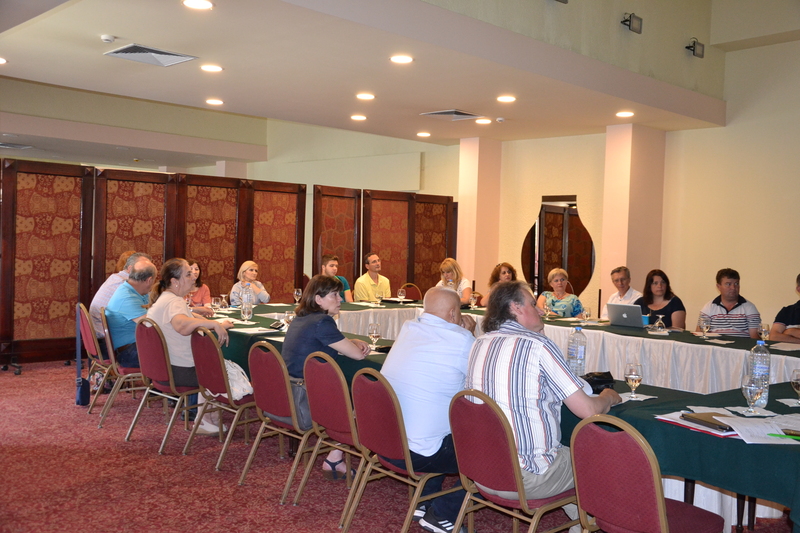 Drinking Water Issues and Priorities was the topic of the workshop held on June 7th, 2018 at Hotel Continental, Skopje, Macedonia organized by CSO Journalists for Human Rights from Macedonia. This one day workshop dedicated to the EU Drinking Water Directive, follows the JHR framework of goals for Equitable Access to Drinking Water and Sanitation for All, and within the project “Water and Sanitation Safety Planning in Romania, Albania and Macedonia”, supported by the Federal Ministry of environment, nature, construction and nuclear safety. The training was held by the expert on water and sanitation, associate professor at the Faculty of Ecology and Environmental Protection in Bucharest, Mihaela Vasilescu. She spoke of the Romanian experience concerning the EU DWD’s transposition and implementation, gave an introduction to the Water Safety Plan – legal frame and methodological approach and discussions concerning the updating of the EU Drinking Water Directive. About the state and regulations of the drinking water in Macedonia spoke prof. Mihail Kochubovski from the Institute for public health of Macedonia. The workshop intended for representatives of the Centers for Public Health, professionals working in this field and representatives of NGOs that treat the water inspired great interest and discussions on the EU Drinking Water Directive. Representatives of many institutions and organizations: Centers for public health from municipalities of Kumanovo, Skopje Veles, and Tetovo, the Agency for food and veterinary, the Ministry of environment and spacial planing, the Statistics office, Public enerprize Water and sanitation – Skopje, Public sanitation enterprise Kozjak – Staro Nagoricane, and representatives of GEF SGP in Macedonia, NGOs „Eko vita”, „Florozon”, „Radar”, „Eko zvon”, „4x4x4 Balkan bridges”, „Impact net”, debated on the situation in Macedonia and the experiences of institutions in Romania that can be usefull to them concerning the updating of the EU Drinking Water Directive.